New patients with missing teeth can now visit Dr. Kathryn Ryan for dental implants in Jacksonville Beach, FL. Dental implants provide a long-term alternative to temporary tooth replacement options and are becoming a preferred procedure among patients and doctors. Patients searching for a long-term tooth replacement option, can now visit Dr. Kathryn Ryan’s practice to receive dental implants in Jacksonville Beach, FL. Individuals with missing teeth can schedule a consultation with Dr. Ryan to find out if dental implants meet their needs. Dental implants in Jacksonville Beach, FL are an attractive treatment option for many patients with missing teeth. Dr. Ryan recommends implants for those who are looking for a dependable, natural-looking way to replace one or multiple teeth. The posts used to secure implants are constructed from high-quality titanium giving them a high level of stability and longevity. Once they are integrated into the bone of the jaw, during a process called osseointegration, with proper maintenance, they can last a lifetime without needing to be replaced. Many patients are drawn to implants because they do not need to be removed when cleaning, and unlike dentures, will not fall out. Implants also do not compromise the health of adjacent teeth or rely on anchor teeth to support them and keep them in place. Implants also have the unique advantage of stimulating the bone of the jaw, which is a benefit that other traditional tooth replacement options do not offer. As the implants stimulate the jawbone, they help to prevent loss of bone mass that commonly occurs when patients do not receive tooth replacement procedures after losing one or more teeth. Patients with missing teeth from periodontal disease, injury, or any other reason are invited to visit Dr. Ryan’s practice for a consultation. Before deciding that dental implants are the best option, Dr. Ryan performs a thorough oral examination to determine whether implants are the right choice for their needs. More information on dental implants can be found on Dr. Ryan’s website at http://www.parkwaypros.com. Parkway Prosthodontics is a prosthodontics practice located in Jacksonville, FL. 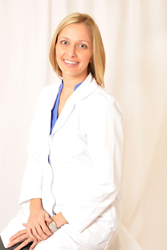 Dr. Kathryn E. Ryan specializes in prosthodontics, esthetic, and implant dentistry. She holds a Certificate of Specialty in Prosthodontics and a Master of Science Degree from Marquette University School of Dentistry, and is Fellowship trained in implant surgery from the University of Florida College of Dentistry. Dr. Ryan is a member of the American Dental Association, International Team for Implantology, Northeast District Dental Association, among others, and participates in the Jacksonville Dental Society Study Club, Beaches Study Club, and Jacksonville Women’s Dental Society Study Club, to name a few. Dr. Ryan and her team are committed to providing patients with quality care using state-of-the art techniques and equipment. To learn more about Parkway Prosthodontics and the services they offer, please visit their website at http://www.parkwaypros.com or call (904) 201-1010 to schedule an appointment.